Winnie is one of many pets bitten by copperheads in the Triangle. Brian Lewis showed ABC11 the puncture wounds on his dog, Winnie, after she was bitten by a copperhead. "When I suddenly realized that a snake had bitten her, I thought the clock was ticking," Lewis said. "I was panicking and just felt like I needed to get her to a vet." 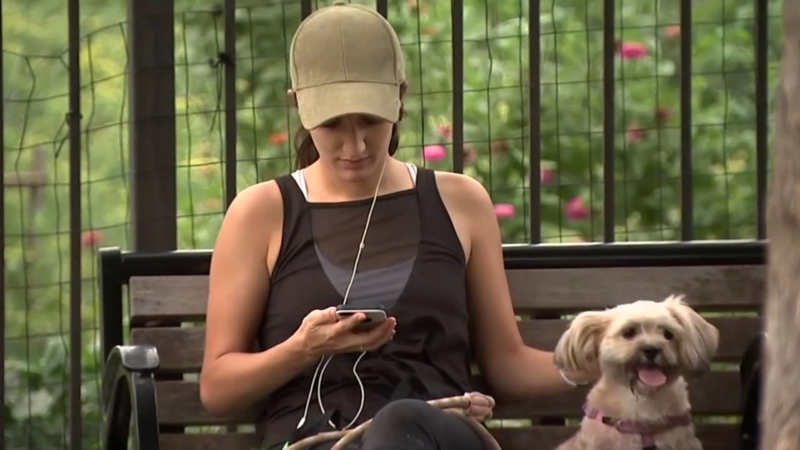 Winnie is one of many pets bitten by copperheads in the Triangle, as seen in recent social media posts. 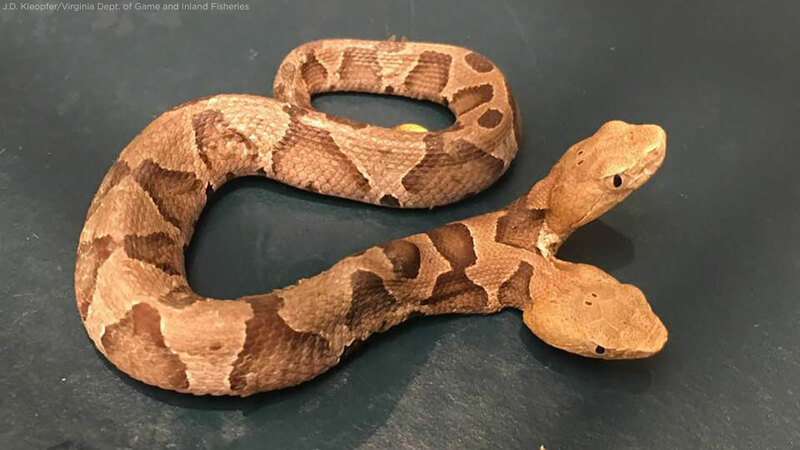 Falyn Owens, Extension Wildlife Biologist for the North Carolina Wildlife Resources Commission, said it is copperhead mating season and that's one of the reasons the venomous snakes are more active in the fall. Here'a breakdown of the six venomous snakes in North Carolina. 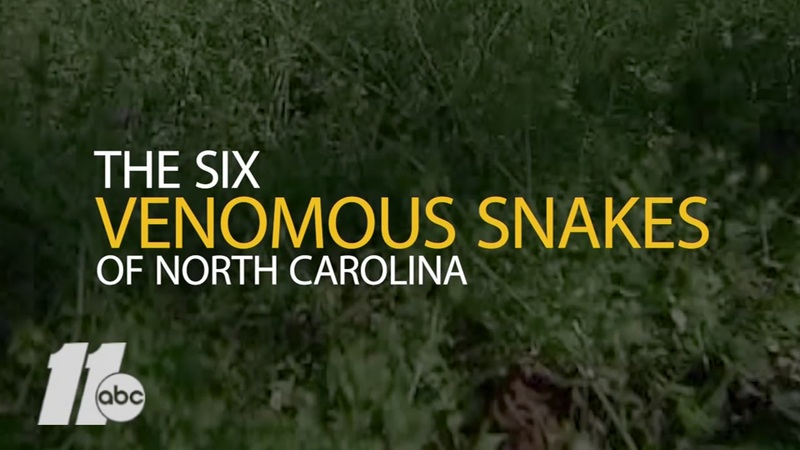 Here's a look at the six venomous snakes of North Carolina. 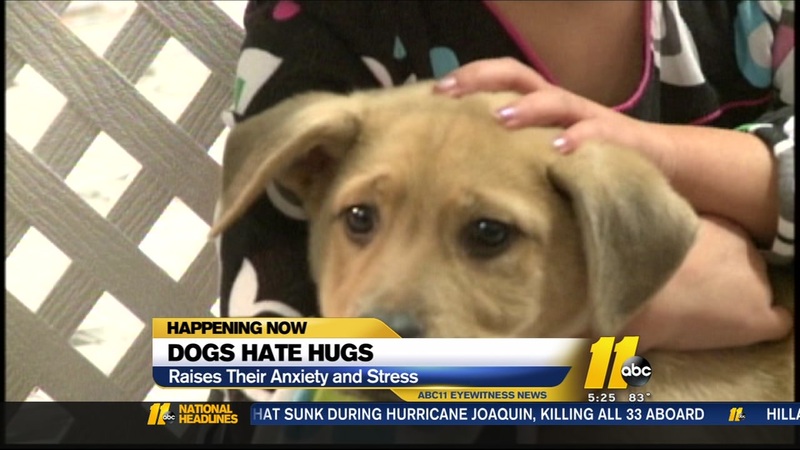 Dr. Kate Aicher, of Veterinary Specialty Hospital of the Carolinas, said that from May to October of last year, the number of cats and dogs they treated for snake bites, in their three offices combined, was in the 60s. This year, during that same time period, the number is in the 90s. The majority are copperhead bites. "Maybe there's more snake activity at dawn and dusk, which also happens to be the time people are letting their pets out when they get home from work when they get up in the morning," Dr. Aicher said. "So this time of the year, in particular, where there's lots of snake activity, would be pretty careful about having your pets outside supervised, watching them." The snake's two heads share a common heart and lungs, experts determined. After rushing Winnie to the animal hospital, Lewis said he found a 3-foot-long copperhead in the backyard of his Cary home, where Winnie was playing. Two of Dr. Aicher's dogs and one cat were bitten by copperheads when they lived in Texas. Here in North Carolina, Dr. Aicher says she's seen her Lab puppy, Rogue, near the snakes. "I don't think it's because I recruit copperheads to my house, I think we just really have a lot of them out there," Dr. Aicher said. "We think that more often, it's not just a problem out in the country. We have increasing numbers of families moving into the area and urban areas and the landscaping. So, I think, it's increased contact between pets and snakes." She said signs of copperhead bites in pets include swelling and puncture wounds. In addition to the mating season, Owens said copperheads are more active in the fall because they're traveling to their winter spots and young snakes are leaving home to establish their own territory. It is also possible that Hurricane Florence may have displaced some snakes whose homes flooded and went to higher ground for safety. But, Owens said, they would return to their home territory after the flooding. Owens recommended that you supervise your pets closely when outside, checking your yard before allowing your pets to roam freely in it and removing habitat snakes would like such as brush piles, rock piles and tall grass.